NB. 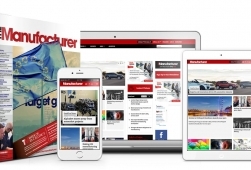 To access The Manufacturer Print and Digital Subscription at the reduced rates of £95 per annum you must work directly for a manufacturing company. If you do not work at manufacturing firm, the cost is £395 per annum. Please select the correct price from the drop down below according to your circumstances. Want to purchase multiple subscriptions? We also offer group subscription discounts. For more information, contact our customer support team on +44 (0) 207 401 6033 or subscriptions@hennikgroup.com.